Unique position, only few steps from the most beautiful sandy beach on the island Ugljan, makes us Your favourite place to spend Your unforgettable holidays. 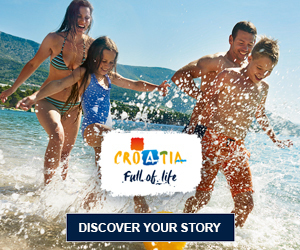 Whether you are visiting us for a family holidays, romantic weekend or just a casual vacation, this beach resort in the hart of Adriatic has something for everyone of all ages to enjoy. Wunderschöne gut ausgestattete Appartments mit zwei Bädern, einer Küchenzeile, Wohnraum mit Sofa und Fernseher (Satelliten-Empfang), kostenloses WLAN und sehr schöne Südterrasse. Vor dem Hotel gibt es einen kleinen Sandstrandzugang zum Meer. Dies ist in Kroatien eher eine Seltenheit. A really good place. Great pool, next to the beach, teracce big, equipment quite good, clean, comfy beds, spacious. Nice location and view from the balcony, nice, clean and huge rooms with everything you need! Apartment is near to the beach and the pool was great! Everything was perfect as usualy,... we were for three times there and fully satisfied with again. Endroit merveilleux avec tout le confort nècessaire L'appartement est trés propre spacieux. Piscine chauffée, et la vue est incroyable belle. We've been on family holidays in the nearby town of Poljana and were looking for a nice place to have dinner. Villa Dalmacija was exactly the answer. Near the beach, people strolling by causally, great fresh food and excellent, friendly and quick service. They even had a kids movie in the reastaurant ... brilliant! Mega wygodne łóżka i spokojny nowoczesny wystrój czysto, w każdym pokoju oddzielna klimatyzacja i łazienka do każdego pokoju -wszystko super. Maybe the best pizza in Jadran area so far! Pizzeria is on the beach, nice shadow area, with good service and various assortments of pizza and pasta. From 17.04.2019. we open our doors to all our dear visitors. The new season can begin. The restaurant and bar are open daily from 07:00 to 22:00, looking forward to your arrival. If you want to up your knowledge about Croatia, here are 85 fun facts about the country. Some you may know and some you may not. Images may not be copied, printed or otherwise disseminated without express written permission. Any use of images will be charged.